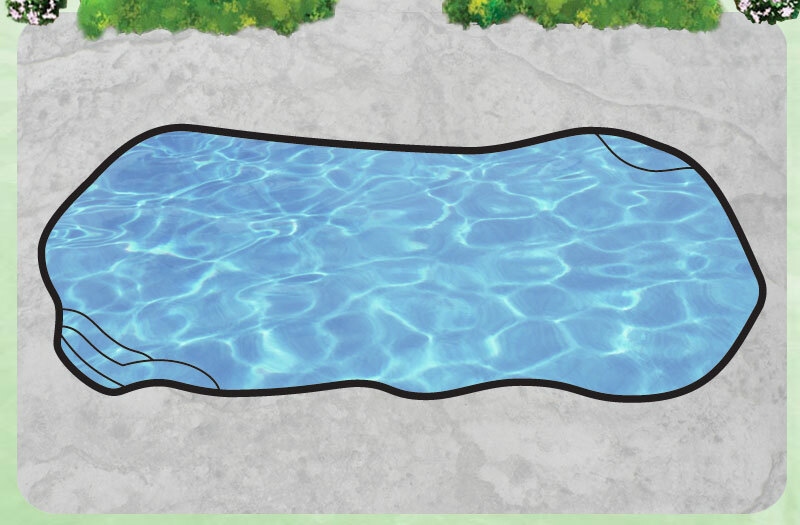 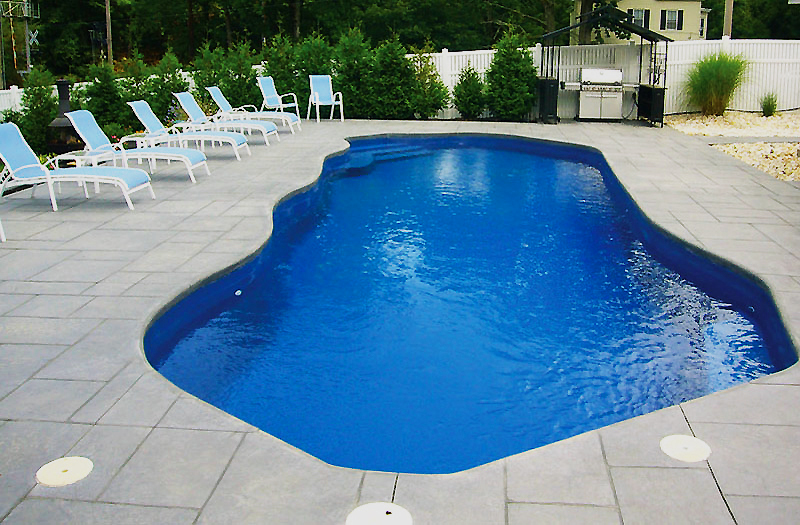 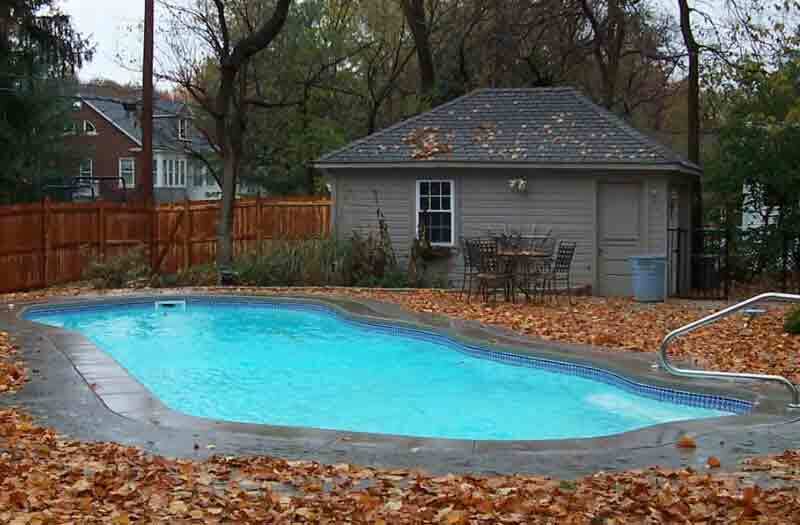 The Grand Isle fiberglass pool model is based on the desire to create a true lagoon-style shape. 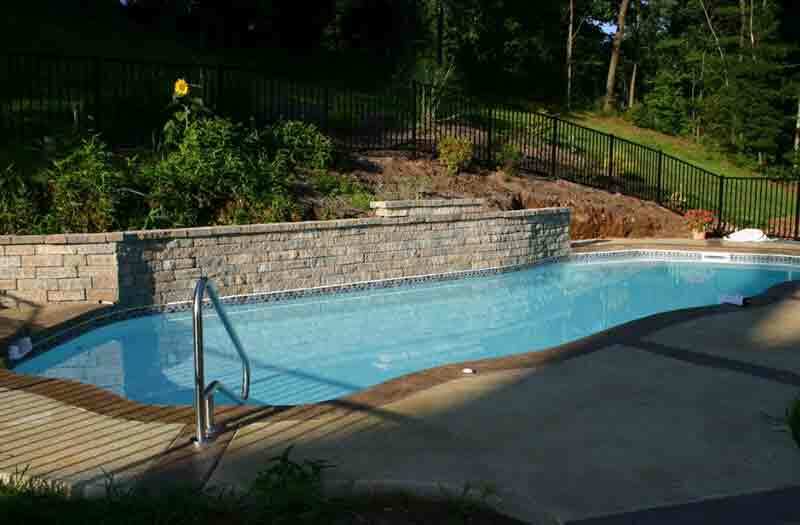 With its free-flowing design, it fits well into any classic or contemporary backyard design and is a welcomed addition to any backyard retreat. 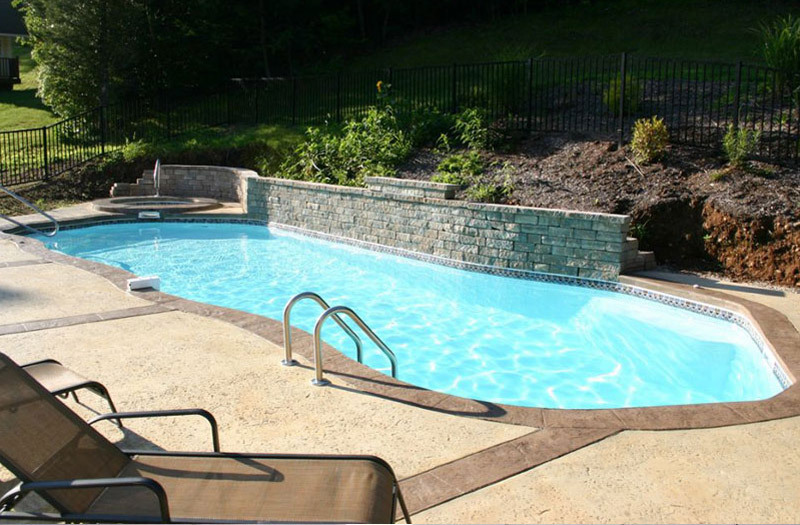 It offers 3 steps and bench seating at the shallow end, a curved bench seat at the deep end and provides plenty of inside swim space for all of your guests. 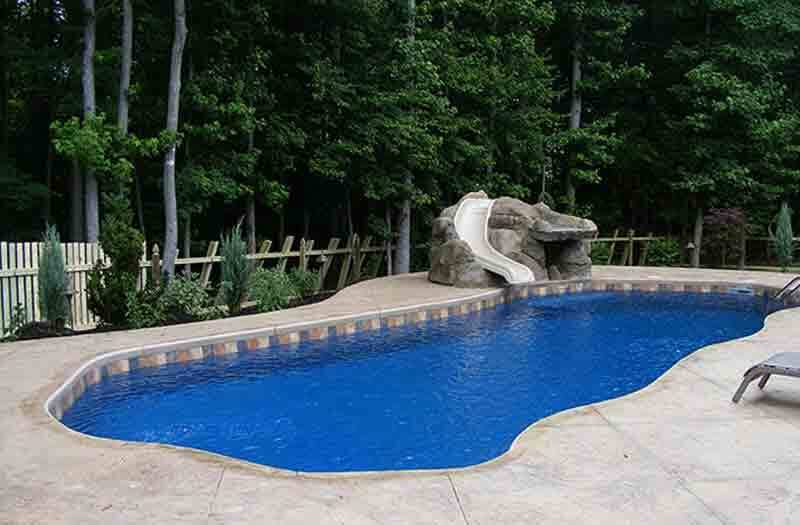 Its gentle curves make this inground pool design very popular among pool owners, and it is a delight to landscape around. 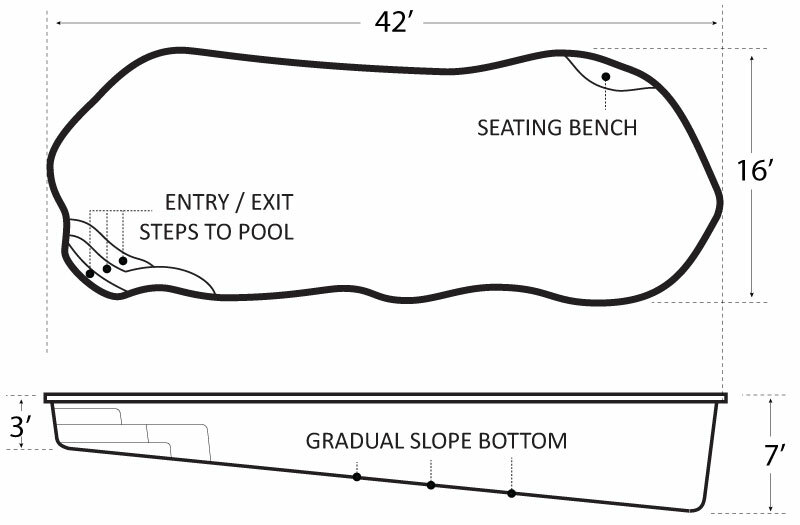 The dimensions of the Grand Isle are 16' wide, 42' long, and slopes from 3' to 7' deep.